To begin integrating with Inkthreadable you'll need to log in to your EKM store. If you don't have a store yet you can sign up for a free 28 day trail. Click on the Advanced Inventory Manager feature, and then the Install Feature button. This will install the feature on your store and take you straight to the feature's interface page. For now you can head back to the Features tab and repeat the process for the remaining three features. The final step to complete the integration is to link your EKM store with your Inkthreadable account. To do this you'll use the Endpoint and API Key generated by the ekmPowershop API feature. First though, you'll need to log into your Inkthreadable account (or create an account if you don't have one yet). Once logged in head to the Integrations page and click the Link your store button on the EKM card. You'll be asked to enter your Endpoint and API Key, so head back to the tab/window with your EKM store open. 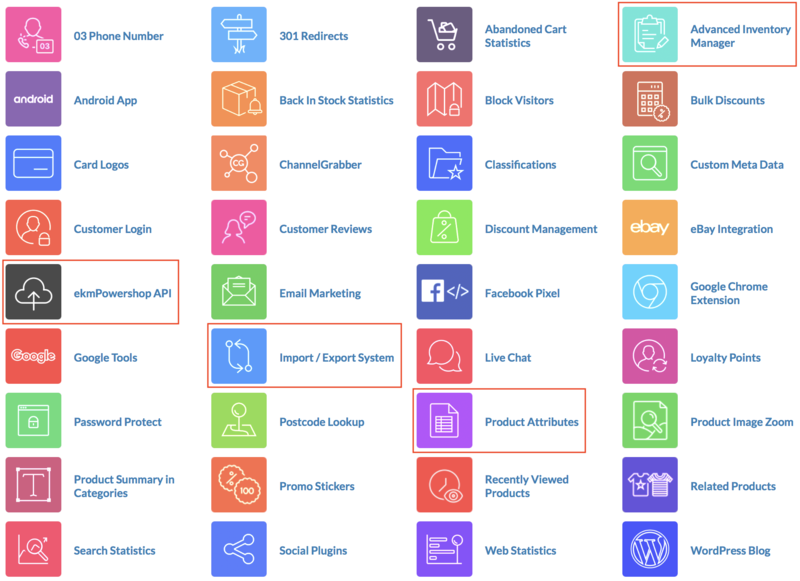 From the Features tab click on the ekmPowershop API feature. You'll see your Endpoint and API Key here. Copy and paste each of these in turn from this page to the fields in your Inkthreadable account and click the Connect button. Please note: Keep your API Key a closely guarded secret. If someone gets hold of it and knows what they're doing they can access your store's data (including order details). If you think your API Key has been compromised you should immediately head to the ekmPowershop API feature and click the Generate New API Key button. You'll need to re-integrate your store with the new API Key, and you might also want to get in touch with EKM to see if they can find out if your store data was accessed.